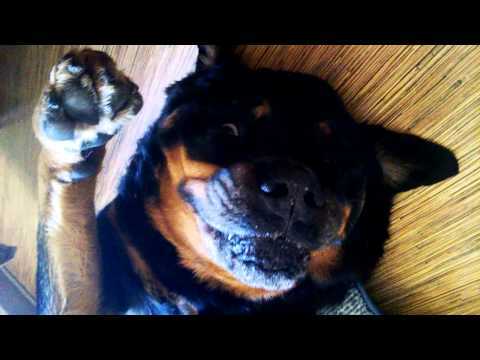 Rottweiler plays dead to avoid taking medications ! Brutus was filmed by his owner Brett Bennett at his house in Washington, playing dead to avoid taking his medicine. This funny video from Youtube shows a Rottweiler playing dead to avoid the medications, the Rottweiler's name is getting his medication for arthretis but he won't take it. He pretends to swallow, then minutes later spitting them out when the owner is not looking.